Optility ™ Nuclear Medicine Management Software | Capintec, Inc.
A state of the art nuclear medicine management software package. Optility™ is a Nuclear Medicine Management Software Package available in three forms- Optility™ NMM, Optility™ CPM, and Optility™ NPM. It efficiently captures and retrieves all regulatory and administrative data. It keeps track of all patients, procedures, drugs and health physics functions with the touch of a few keys. It allows you to print predefined reports or export the data to excel spreadsheets or XML formats, and to create your own custom reports. Don’t lose the data you’ve been acquiring for years within the Nuclear Medicine Manager®, Commercial Pharmacy Manager®, or Nuclear Pharmacy Manager®! With Optility™ you can convert all of your information: drugs, procedure settings, health physics configurations, referring physicians current and historical patient data for immediate use within the program. Paired with the Most Trusted Dose Calibrators on the Market. For over 45 years, Capintec has consistently used superior technology, materials and workmanship in our dose calibrators. All of our dose calibrators are constructed utilizing our unique proven chamber designs and high grade pure aluminum alloy. Additionally, our quality precision rotary welded technology assures optimal chamber pressure with NO gas leakage for years of steady, consistent and reliable use. 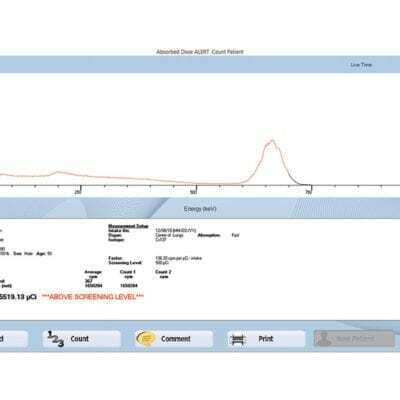 Interfacing with a CRC® Dose Calibrator is simple. When connected, an icon appears on screens where the dose calibrator can be utilized. When on an activity field on the screen, simply press CTRL ENTER to pull the value from the dose calibrator, rather than typing in the value. This saves time and potential mistakes. 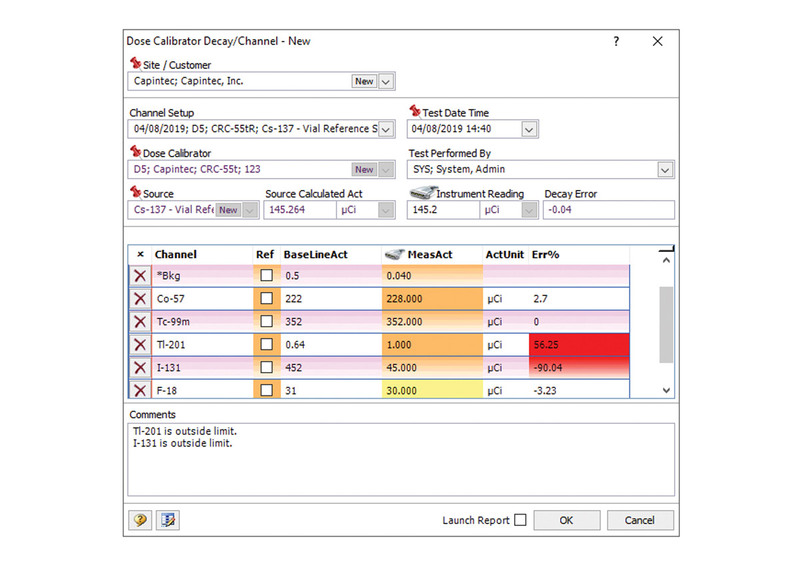 This option is available in a number of screens, including dosing screens, kit prep, elutions, and health dose calibrator health physics tests. Optility™ NMM- For Hospitals and Clinics that dose patients and perform studies. Optility™ CPM- For Radiopharmacies that dispense nuclear or P.E.T. prescriptions. Optility™ NPM- For Institutions, such as large universities, that perform studies and dispense prescriptions. HL-7/DICOM Interface: Use the HL-7 And DICOM interface to import and export HIS/RIS patient schedule information eliminating duplicate data entry efforts and avoiding potential errors. Bring your data with you: Seamlessly convert your own current system data and setups. Everything comes over allowing you to quickly integrate Optility into your department. All the functionality that you currently have is available for you. Computer Based Training: Computer Based Training for a shorter learning curve and easy instruction of multiple staff members. Your Data is Secure: HIPAA compliant, Audit trail on sensitive data. Multiple levels of security allow you to define roles and access rights for your users. 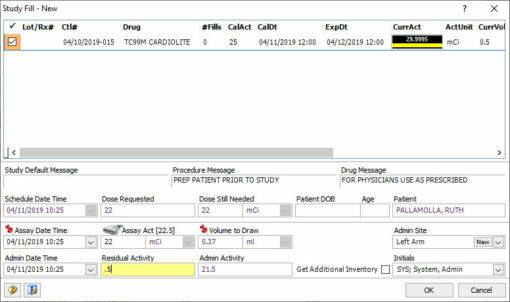 Bar Coded Inventory and Dose Calibrator Interface: Increase productivity and reduce errors by using Bar Code techniques for receiving, shipping, prescription drawing and administering patient doses. Also, you may interface with Dose Calibrator to directly pull in the activity readings. Highly Customizable: Change the look and feel of your system to suit your taste. Choose colors, fonts, or even the language. Apply your own business and validation rules whether fields are visible or mandatory. 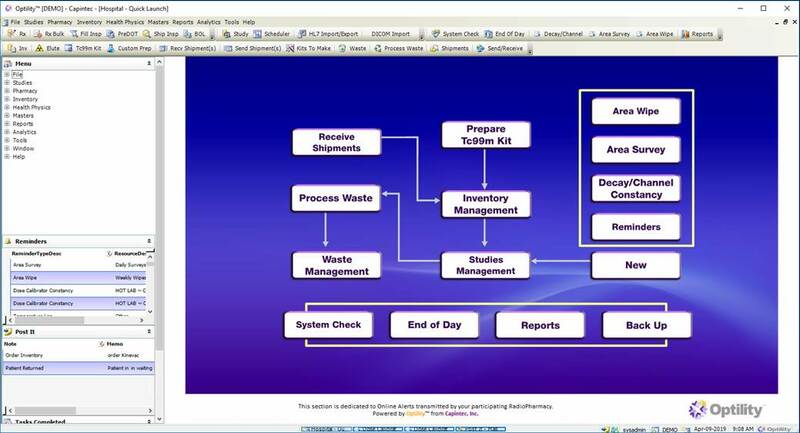 Configure your menus and toolbars so that they closely match your role. Built-In Analytical Capabilities allow you to quickly view, print, or export data- Predefined tabs organize your data, enabling you to easily manage frequently accessed data sets. Use out of the box capabilities to drill-down, rollup, filter, sort and group the data, so that you quickly view exactly the data you need. Print as a report, save as a worksheet, pdf, or word document or interface with external applications. Create Standard Operating Procedures: Increase productivity and reduce errors by establishing standard defaults and limits throughout the system. Easy Upgrades: The latest upgrade is always available through an Internet download. Provide Health Physics Services: Whether you are a Health Physics group at a large university, a pharmacy providing services for your customers, or a business; you can maintain instruments and sources and administer health physics tests for yourself and your clients. Get the latest version of your favorite nuclear medicine management software package today! Optility™ version 4, compatible with Windows 10! The software is now translated into five additional languages: French, Italian, Spanish, German, and Portuguese. Data conversions are available along with HL7 and DICOM Interfaces inbound & outbound.